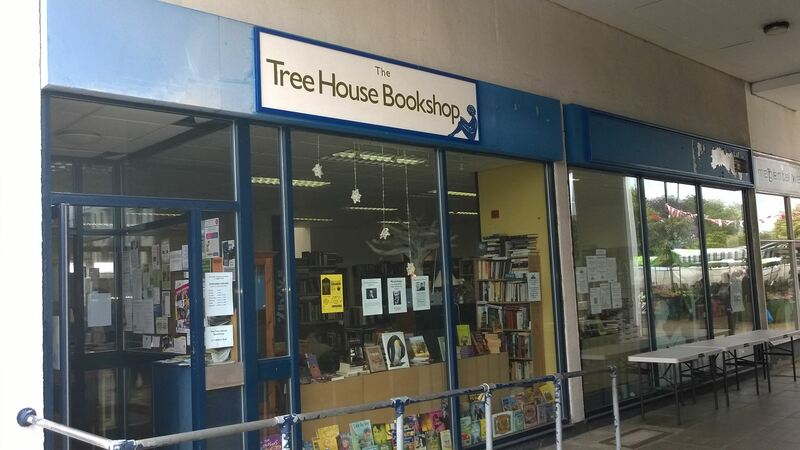 Thanks to the lovely Emma Powell (and her generous Dad who provided the paint), we now have a bookshop sign! We no longer pretend to be a Job Centre! Emma will in due course make a sign with a bit more info on it to go in the other empty part of the fascia, but she’s done a wonderful job creating a simple but effective sign, using the figure from the shop logo and the shop colours. It’s perfect. Many thanks to Paul, Tom and Vicki who installed it. And to Secret Kenilworth, who interviewed me a while back and put out a call for help with the sign, to which Emma responded. Working party, Sunday 17 August – more fun than it sounds! 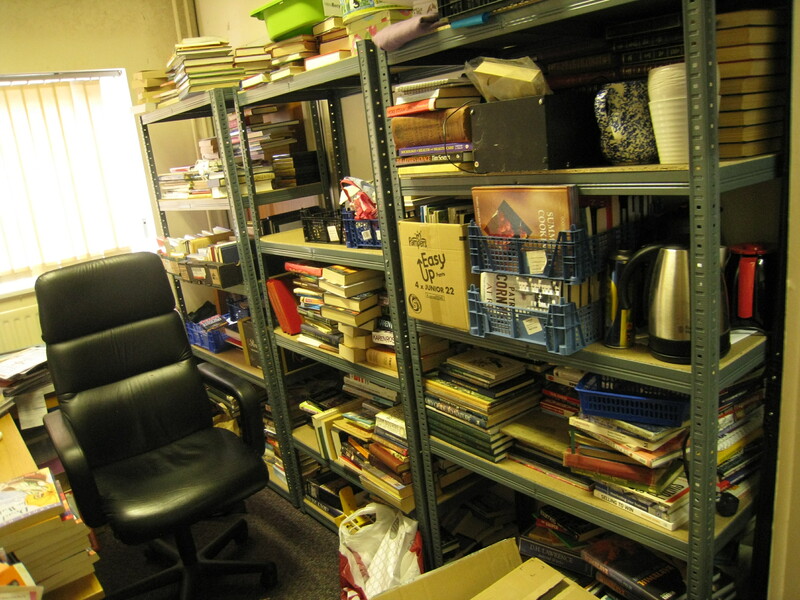 It’s not nearly as bad as it used to be, in terms of shelves overloaded with books (our books are selling very well! ), but I need to get all the books off these shelves, sort them, price them, reshelve them by subject and mark the shelves accordingly. That way it will be much easier to see what we have got that we haven’t yet got room for on the shelf, so that we can fill gaps more efficiently and search for things that people ask for with more hope of finding them if we have them! If anyone would like to help with this task, I’ll be in the shop next Sunday, 17 August, from 2pm to 5pm; you would be very welcome to join in. There will be tea and cake! If we get through that lot, there is always more to do… It’s a lot more fun with a few people, we always have a good time when there are a few volunteers around.